One Milwaukee is a citywide initiative to help bridge the gap between the haves and the have nots in Milwaukee. 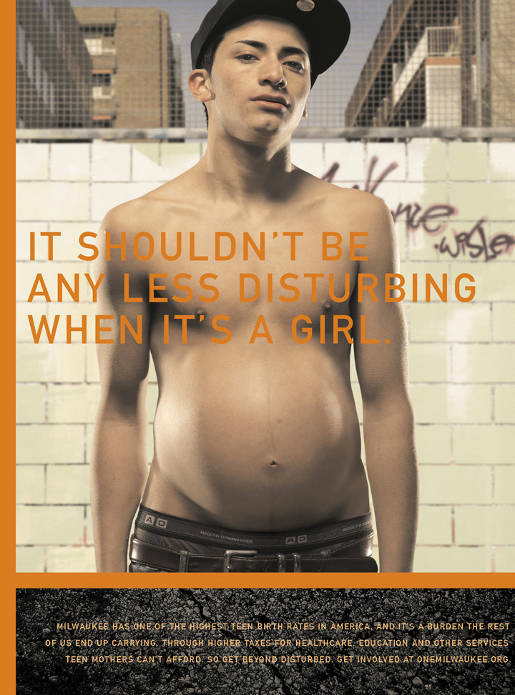 The organisation is running a print and online campaign raising awareness of issues surrounding teen pregnancy. Pregnant boys, using photography by Tim MacPherson, increases the shock value. 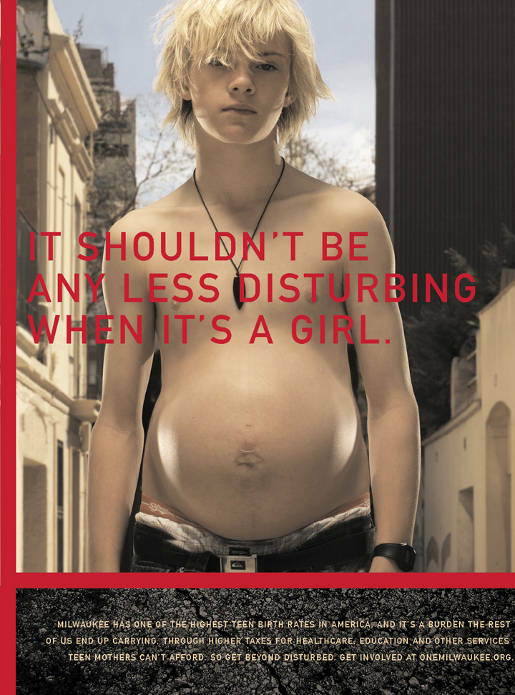 “It shouldn’t be any less disturbing when it’s a girl”, the copy reads. Tim MacPherson entered “Pregnant Boy on a Skateboard” was nominated for the 2008 Sony World Photography Award. 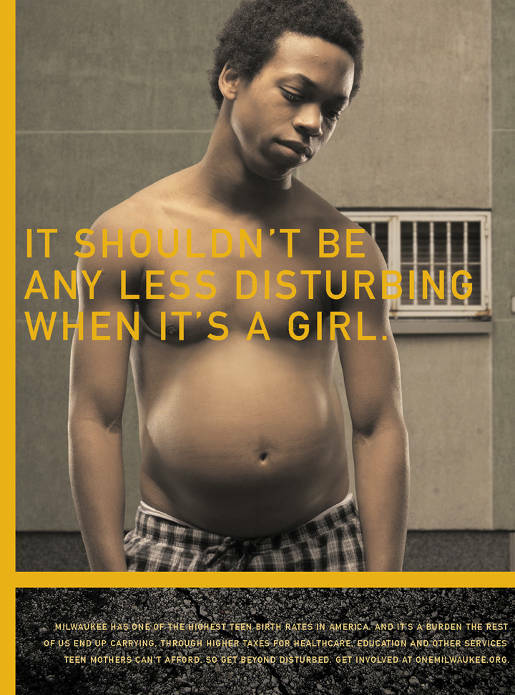 The Pregnant Boys campaign was developed at BVK, Milwaukee, by creative director Gary Mueller, art directors Brent Goral, Giho Lee, copywriters Mike Holicek, Jeff Ericksen, photographer Tim MacPherson.